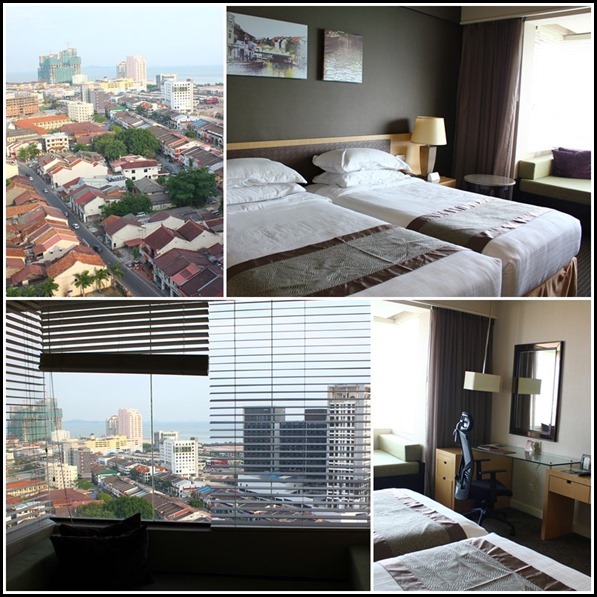 Actually this was not our first trip to Malacca, but definitely the first with an overnight stay. 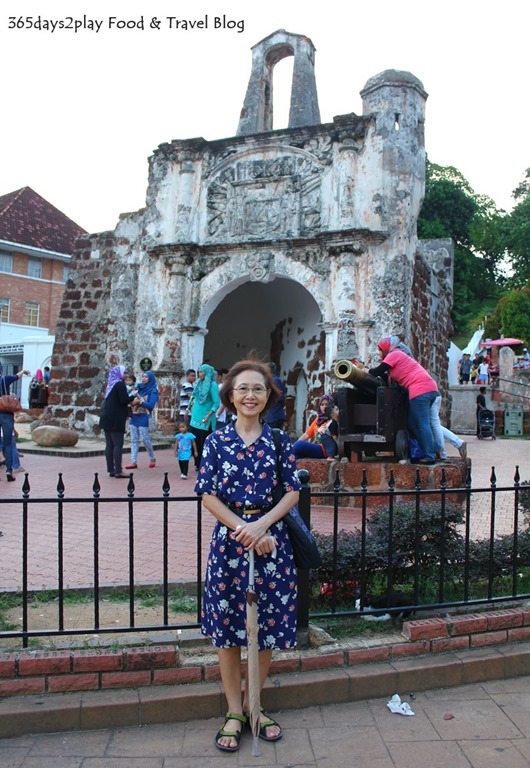 I had thought that we would visit some of the historical sites in Malacca, as Malacca’s city centre has been listed as a UNESCO World Heritage Site since 2008. There is a total no smoking policy in the entire city centre as a result of that! Great move! 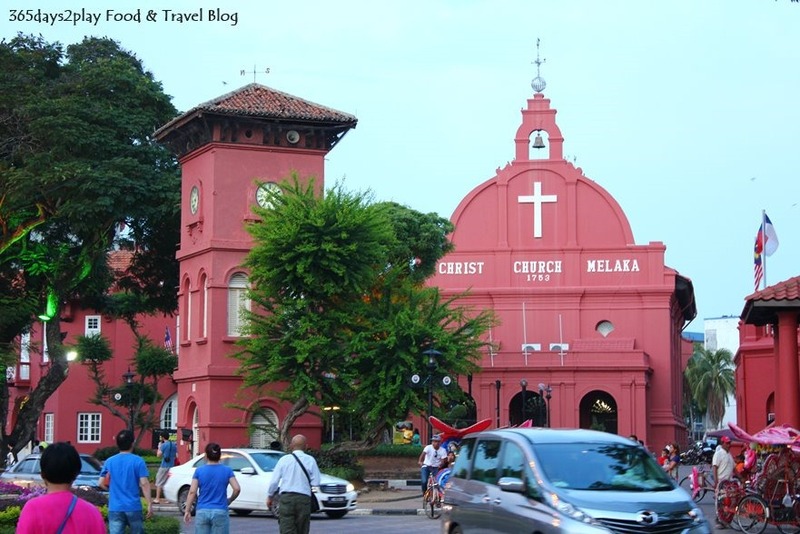 The Christ Church Melaka is probably one of the most iconic buildings in Malacca, thanks to the striking red colour. Constructed in 1753, the structure reflects original Dutch architecture. 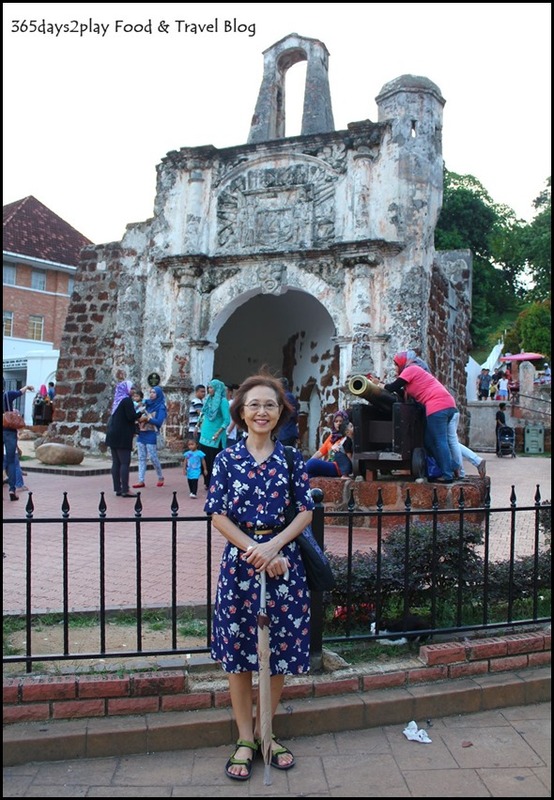 It is the oldest functioning Protestant church in Malaysia. 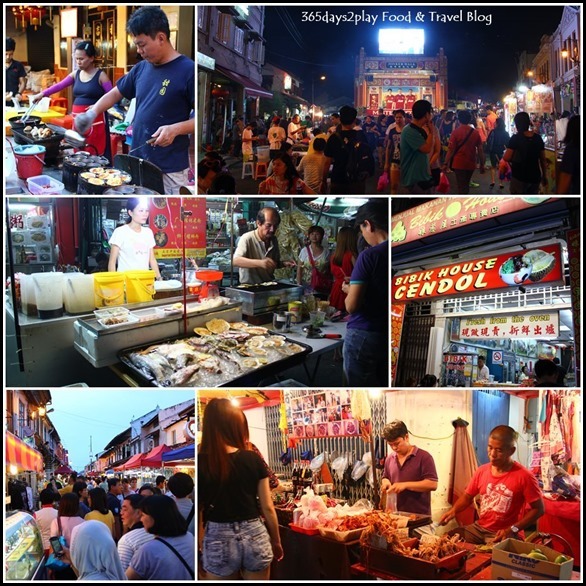 I thought 3rd time lucky, I would be able to visit this, but because we arrived quite late in the afternoon, we wanted to head straight for the famous Jonker Street night market to feed our growling tummies. The route from Hotel Equatorial to Jonker Street is about a 20 minute stroll, which would take you past the Christ Church Melaka as well as the Porta de Santiago Melaka which is a Portuguese fort. We did have time for a quick photo stop although we didn’t step in and go up the hill to explore more. Took so many pictures at the Jonker Street Night Market. Jonker Street is also known as Jalan Hang Jebat, and if you refer to the maps of the area, you might see the words Jalan Hang Jebat instead. 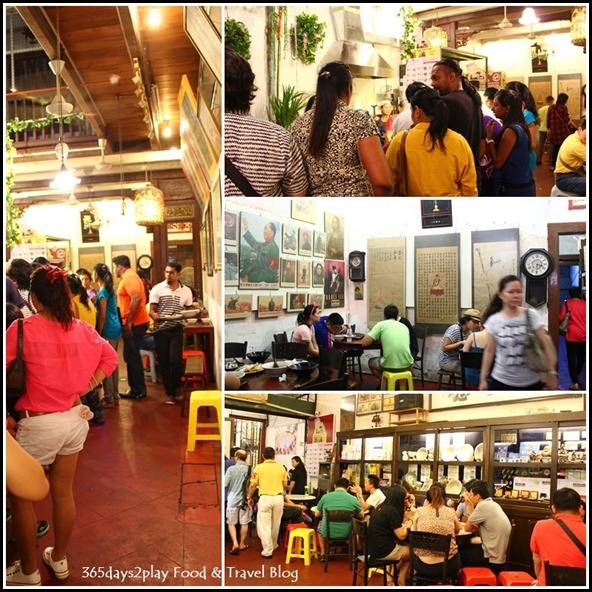 As with any night market, it’s best to experience it yourself, squeezing amongst all the other people to feel the vibe and atmosphere of the place. Lots and lots of stalls selling all types of street snacks as well as knick knacks. Some stalls are quite modern, even saw one selling selfie sticks and car shades.Many of the snacks I have never seen before, such as stuffing pieces of ham or sausage into fried chicken eggs or quail eggs with meat on a stick. 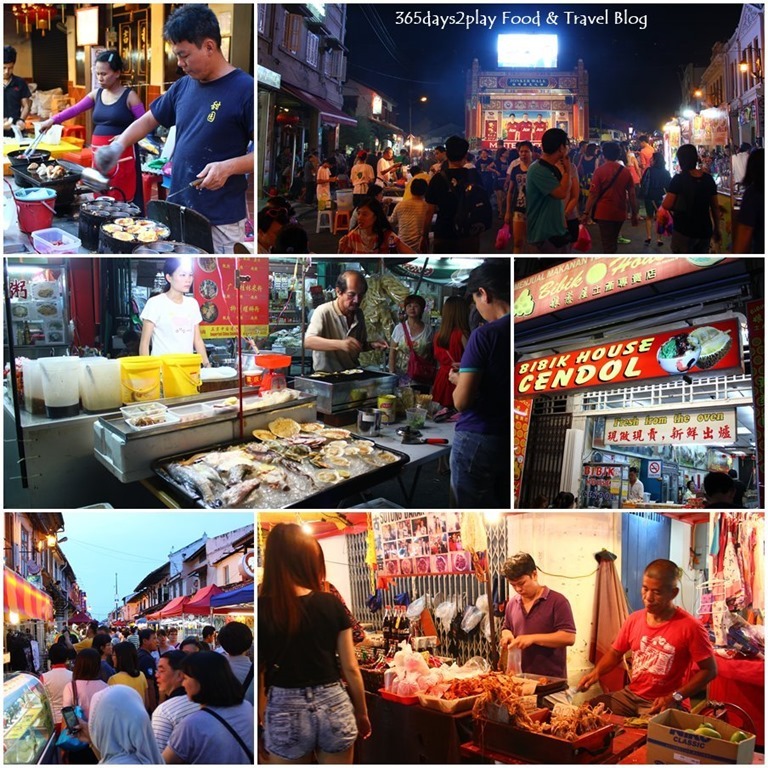 The Jonker Street Night Market only operates on Friday and Saturday, so don’t miss out! In the day time, the street is actually open to traffic. 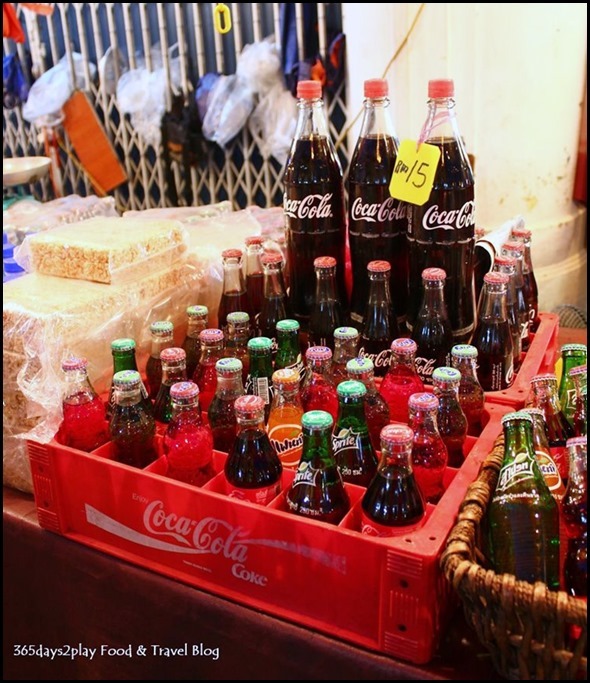 Check out these old school glass bottle soft drinks. Not sure if these are authentic, but I sure wish we could still get them easily in Singapore. I wouldn’t mind paying a few cents more for my soft drink to savour a piece of nostalgia. And it’s just nicer and more solid to be drinking from a glass bottle than a plastic one. We anyhow whack and stopped at what we thought was the most authentic and old school place that we could find. This is Ah Mah Fish Cake shop, which sells a lot of noodle and soup dishes ranging from Nyonya Asam Laksa, Rendang Chicken Noodle, Minced Fish and Prawn Noodle Soup, Shrimp dumplings, Fish tofu soup. I later found out from my colleagues that this place is really popular, and indeed it was jammed packed. Look at the number of people queuing up to order their food. If you can survive the sweltering heat, whatever you experience in the street outside, add 5 degrees extra and pump up the humidity to 99% since they do the cooking right there not cordoned off from diners. I literally felt some difficulty in breathing at the start, although I some how got used to it. 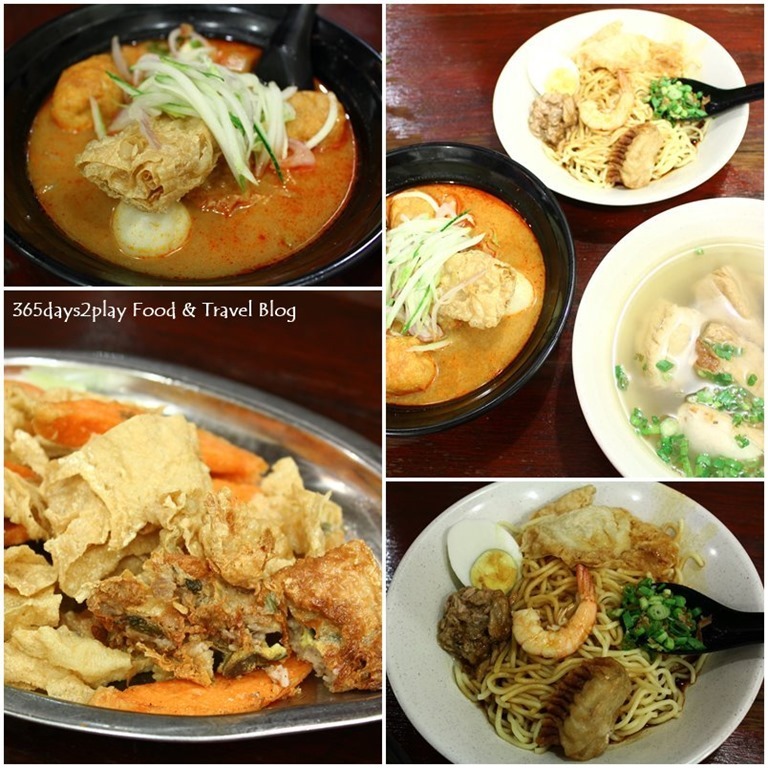 We tried the Asam Laksa, shrimp noodles, some fried ngoh hiang and fish tofu soup. Prices are pretty alright at about RM $6.50 but not dirt cheap. Food wise, personally I thought it was average, but the partner loved the Asam Laksa,he ordered! 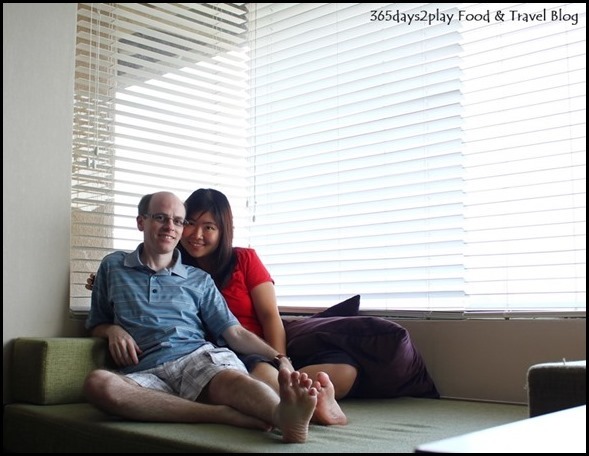 It’s weird for him to love an Asian dish more than I do. We shared a table with some Cambodian students studying at NUS! 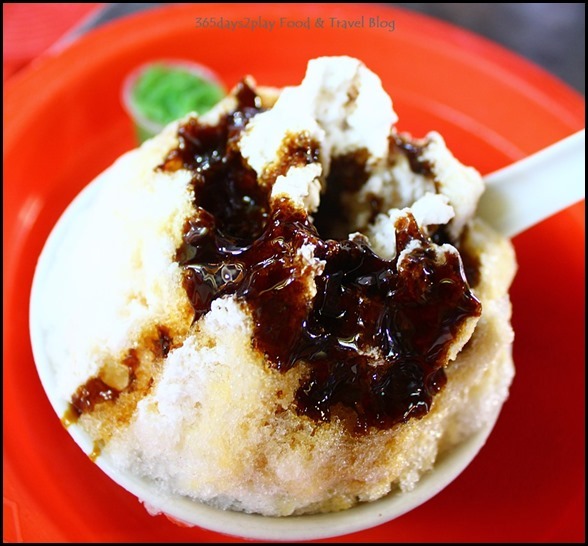 Wow prior to this Malacca trip, I hadn’t known that my love for chendol was so strong! My father was on the look out for Chendol and we tried a grand total of 3 stalls in the span of one night! It was a pity that the Ah Mah Fish Cake had sold out of it, apparently that is one of the best places to have chendol when in Malacca. It was the perfect dessert to cool us down on that hot and humid night and actually, it’s much better than eating ice cream! 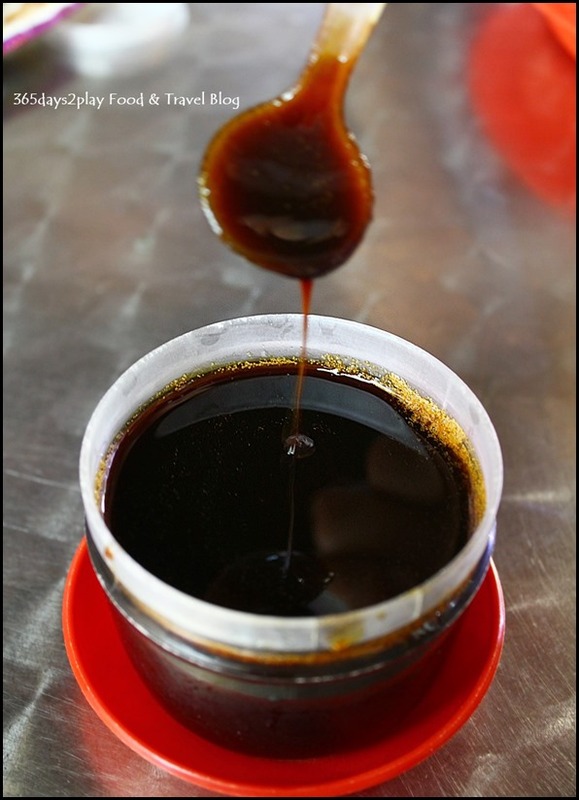 I realise what I like about it is the rich icy coconut milk, and the lashings of gula Melaka (palm sugar). And the great thing about eating chendol in Malacca? It’s like the gula Melaka is free! They really pile it on, or better still, they give you a small jug of it, and you can pour as much as you want. It’s liquid brown gold I tell you. Go for it! Must have a picture to show you this liquid gula Melaka. Ok this is the communal container, so you’re not supposed to eat up the whole thing. Hmmm but if not for wanting to be polite, I might have finished half the container…. 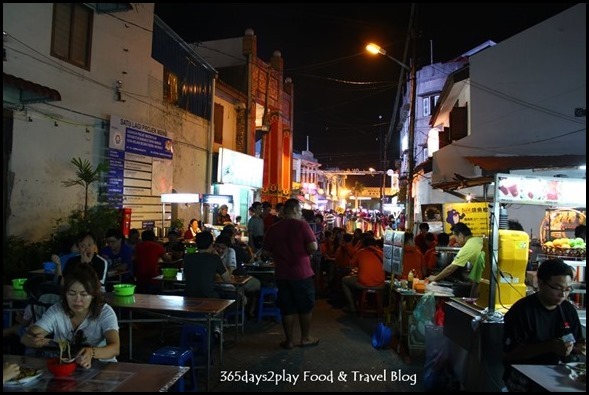 We walked from one end of Jonker Street to the other end and spotted this section that was full of open air hawker stalls! This would have been a nice place to have dinner as well. I tell you, the oyster omelette stall where the oysters were so plump and voluptuous, I really felt a tinge of regret not walking the entire street first before eating dinner. It’s as fresh as can be here as another guy was shucking oysters next to the guy frying the omelette! Just in case you’re wondering, please spare at least 2 hours to visit the Jonker Street Night Market if you want to walk from 1 end to the other and back again. Walking back through Jonker Street took us 1/2 hour as it is pretty crowded and some how you find something new to see. You can’t really take an alternative route because the neighbouring streets are actually pretty quiet and perhaps not so safe. If there’s no crowd, you would probably only need 5-10 minutes to walk from one end to the other. We got back to our hotel at 10 plus, after leaving at 5pm earlier in the day. 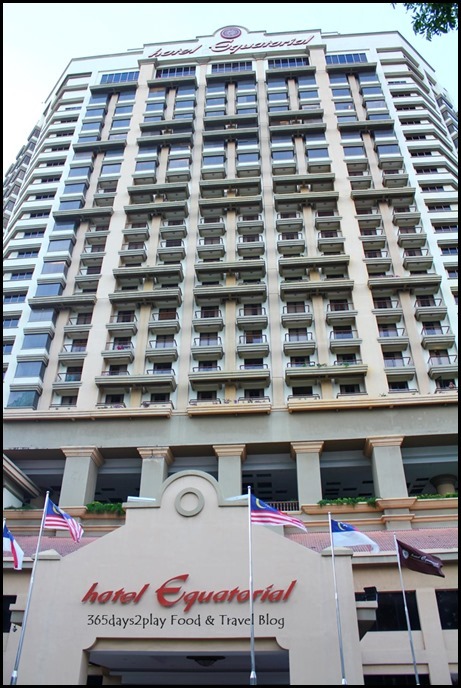 Not the end of the evening though because we went for a good 2 hour massage directly opposite the Hotel Equatorial. Cost only RM $80 for 2 hour massage! The place is called Bao Li Lai (89 Jalan Chan Koon Cheng, Tel : 606-288 2727), if you want to go. If you get a massage at Jonker Street, it’s about RM $110! Hotel Equatorial provides breakfast, but really nothing much to shout about. 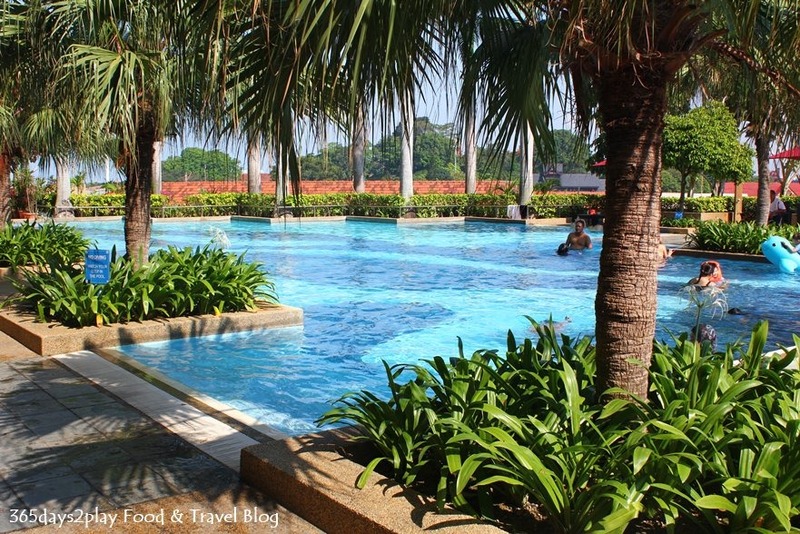 I did have some time to take a dip in their huge pool before a late check out. 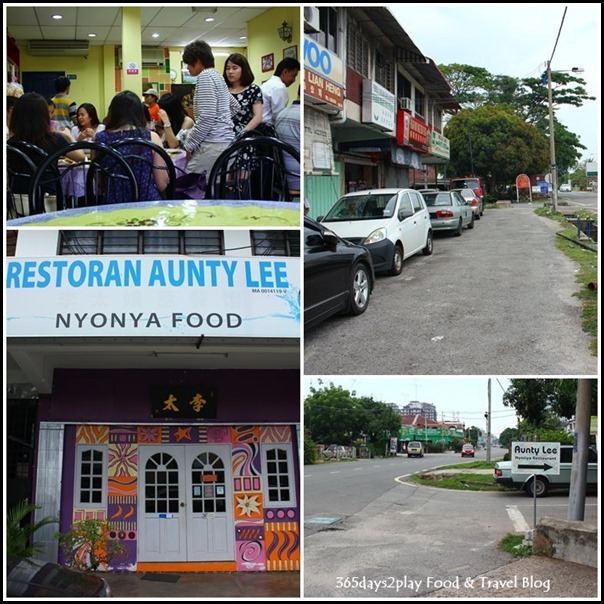 After checking out, we went to Aunty Lee’s Nyonya Restaurant (Jalan Ujong Pasir, 75050 Malacca) as recommended by my father’s colleague who hails from Malacca. It was also he who recommended the massage place above. Apparently Aunty Lee is a must stop place for him whenever he returns to Malacca. I must say that on the whole, the food is pretty good. 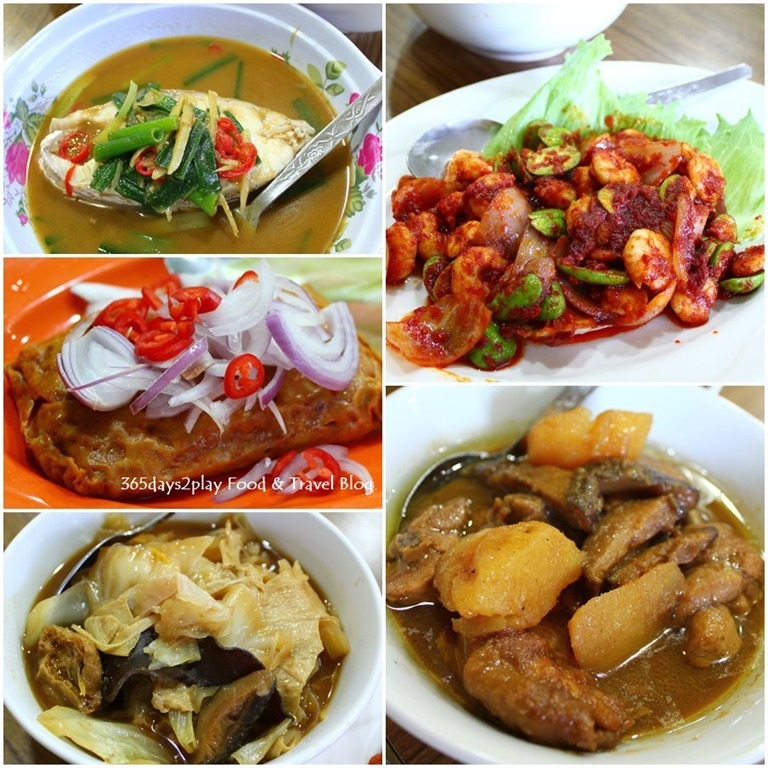 Some of the dishes were cooked in a slightly different style as compared to the Nyonya food that I am used too. 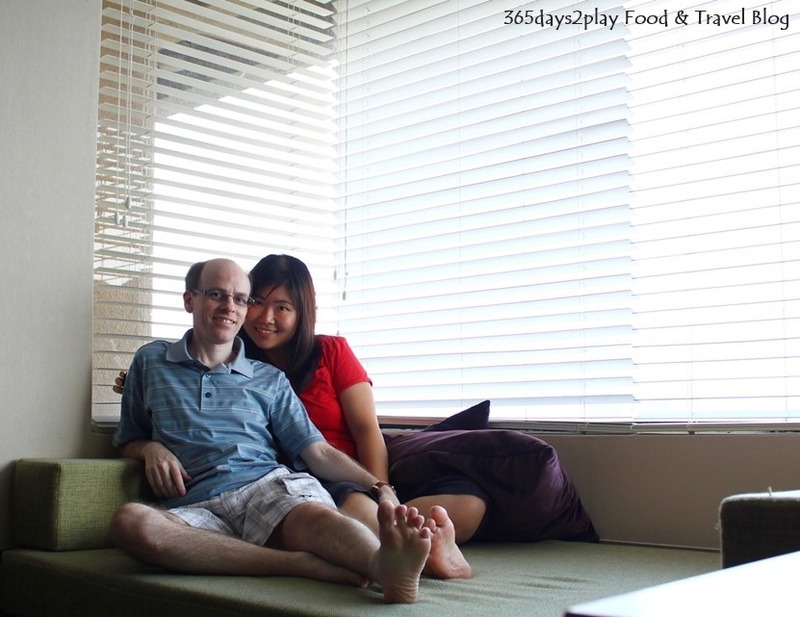 Eg, the chap chye was a little too sweet. Otah was not as fragrant and moreish as I would have liked. But the Pong Teh and the Sambal prawn petai were winners! Pong Teh a little on the oily side but still the rich and authentic Nyonya tau cu flavours came through. Even eating the potatoes with rice was delicious. And for me, a person who has never liked petai, I’ve since grown to love it after eating this dish! Ok that’s it folks! My whirlwind trip to Malacca with my parents and the Partner. All went well except for the 2 hour jam that greeted us back at the Malaysian side of the 2nd Link immigration. « Drive a Maserati or Lamborghini with Pezzo Pizza! 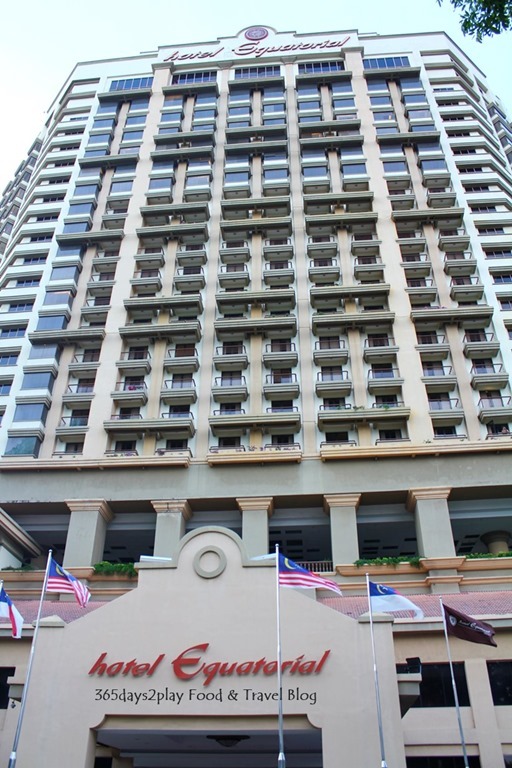 may i ask is car parking in hotel Equatorial safe and sound? We didn’t have any issue with the parking. There is a security guard at the entrance of the parking.